INSTRUCTIONS: In a quart saucepan, simmer the flax seeds until reduced to 1 cup of water. Strain seeds and keep in the fridge up to 10 days or keep in the freezer! Preheat oven to 350 degrees F. Grease 4, 6” pans (OR) two 9 inch round pans and line the bottom with parchment paper. In a large separate bowl, sift the almond flour, coconut flour, baking powder and salt together. In a clean bowl, (wipe any traces of grease clean with lemon juice or vinegar) whip together the 3 remaining egg whites until stiff peaks form. Add the dry ingredients to the wet ingredients, pour in the milk and fold the batter gently by hand until combined. Then fold in the egg whites, toasted pecans and coconut until combined. Do not over mix! Let the cake cool before removing from the pan and refrigerate the cake before frosting. While the cake is baking, heat together flax egg white and sugar in a small saucepan until sugar has dissolved and add the agave nectar to keep it from crystallizing. Cool this syrup until you are ready to frost the cake. (I usually prep this ahead of time and store in the fridge, then warm it up to room temperature when needed.) Note: it is very important the syrup is not warm or cold to the touch, or it will not incorporate into the butter correctly and may create a curdled mess of fat and syrup. If this happens just leave it out longer to warm up or place the bowl in warm water for a few minutes to speed up the process. All of your ingredients must be room temperature! In mixing bowl, beat the organic palm shortening, butter, cream cheese and vanilla until creamy and smooth and slowly add the flax syrup. Continue beating for several minutes until mixture is fluffy and smooth. Add a the powdered sugar and continue to whip for a few more minutes until you reach the consistency of whipped cream. If the mixture doesn’t come together but looks too soft, add a little more butter or shortening by the tablespoon until it fluffs back up to firm peaks. 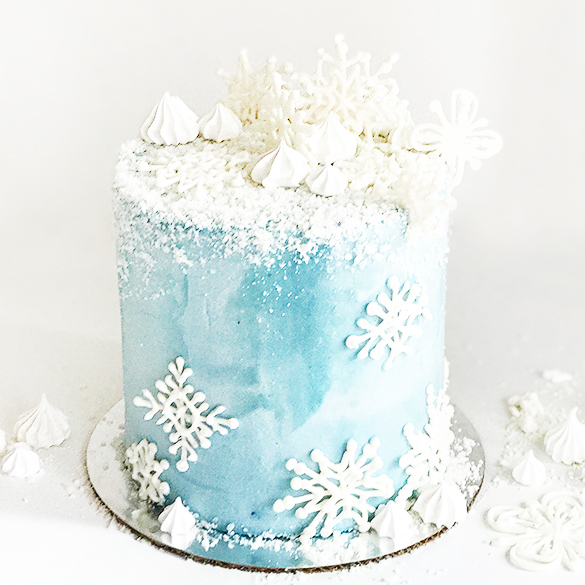 Fill and frost your cake! In a microwave-safe, glass bowl (or saucepan on a stove top) dissolve gelatin in one can coconut cream for 2 minutes over medium heat. Let cool before adding the packet of color and vanilla. Whip together chilled coconut cream and slowly add the cooled gelatin mixture and powdered sugar, whipping until stiff peaks form. This may take 3-4 minutes. If the cream doesn't whip up firm enough, Let the mixture set in the fridge for an hour if needed and then whip again. You can leave out the gelatin step 1-2, but this will stabilize the whipped cream and keep it from going flat so quickly when you spread it over the cake. 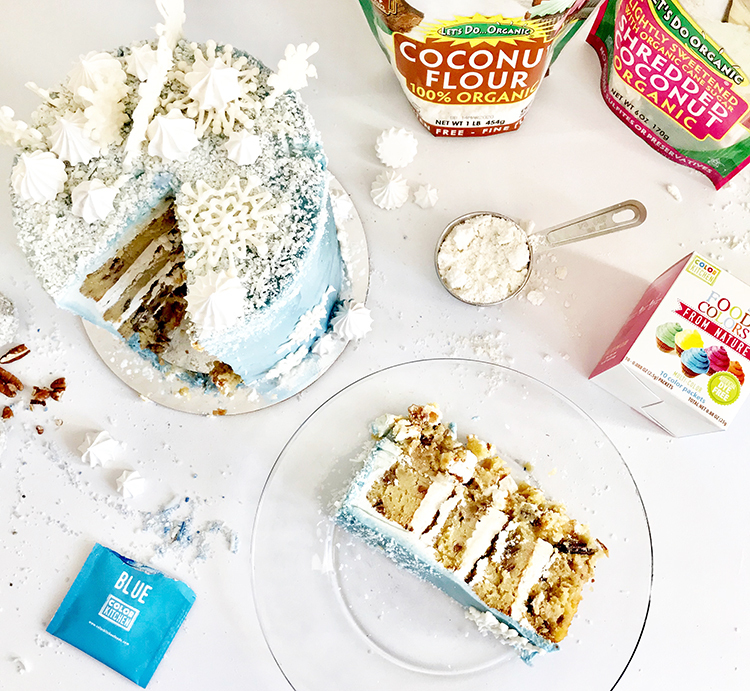 Fill and frost on a chilled cake and serve! 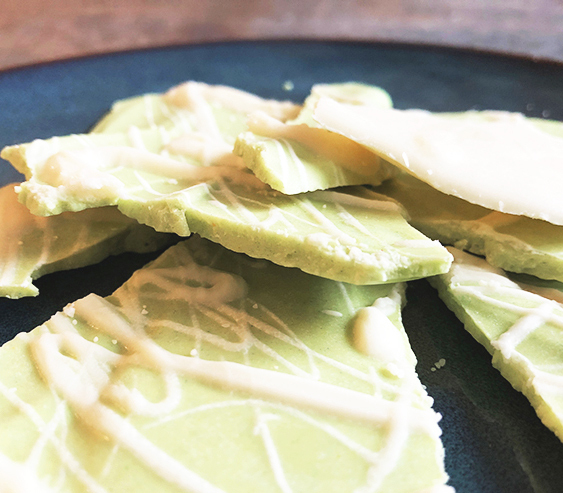 In a double boiler, melt the white chocolate. Once completely melted, slowly add ¼ cup of the cream and stir to combine completely. Remove from heat place in the fridge until completely cool, about 2 hours. Divide the ganache into two separate bowls, they should weigh about 85 g. each. In one of the bowls, add the yellow dye, pink dye and peppermint flavor and stir to combine completely. In a stand mixer fitted with whisk attachment (or you can use a hand mixer), add the remaining cream, sugar and vanilla extract. Whisk on low and gradually turn up the speed as soon as it doesn’t splatter anymore. Turn the speed up to high and whisk until the whipped cream has formed a stiff peak. Divide the whipped cream into the two bowls of ganache, you will have about 57 g. in each bowl. Fold in the whipped cream until completely combined. Cover with plastic wrap and put back in the fridge for at least 4 hours or overnight. Put both the white chocolate and pink peppermint mousse in a piping bag and cut a small hole in each. Then place them both in another piping bag with decorating tip #846. Pipe into shallow bowls or shot glasses and serve immediately. 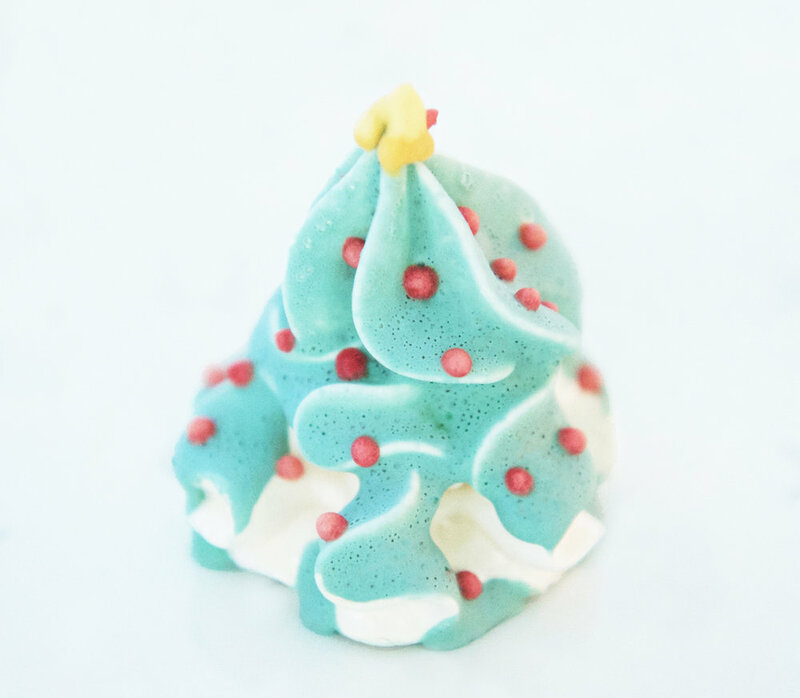 Top with marshmallows, whipped cram and Christmas Tree Sprinkles! 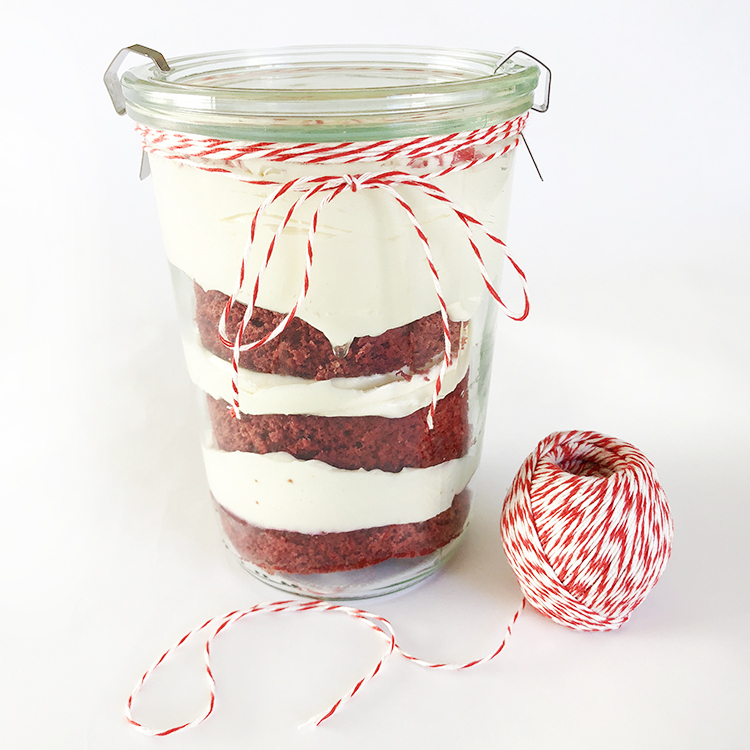 So often when we think of the holidays, our thoughts inevitably turn to sweet indulgences that are rare and precious, enjoyed to excess in a way we avoid throughout the year. 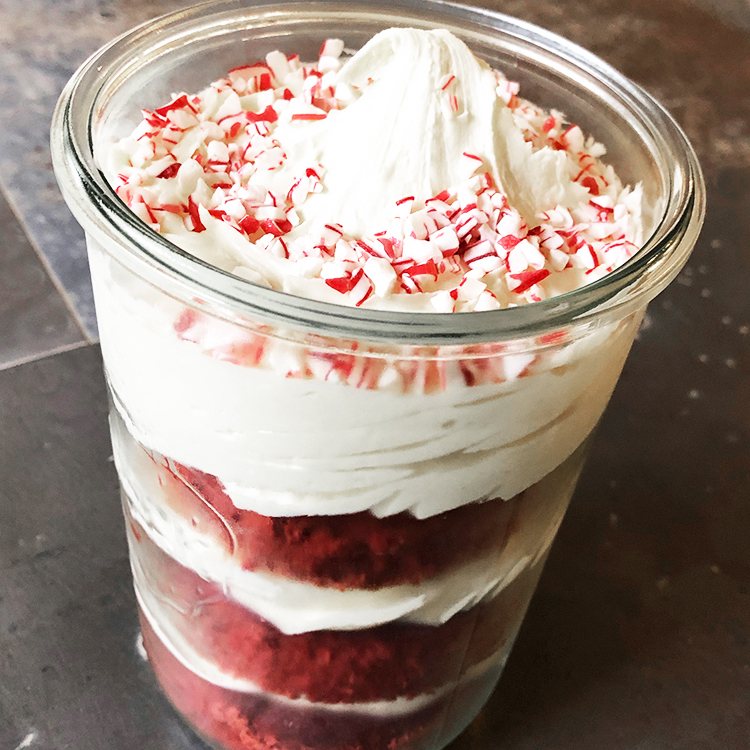 It sometimes feels like the holidays are that payoff for eating well the other ten months of the year, but engorging on so much sugar takes its toll. Sugar can wreak havoc on the body when not consumed in moderation and even when it is eaten more infrequently (for people who have cut back drastically on their sugar consumption or eliminated it altogether), it can still sometimes have physical side effects that are unpleasant enough to make you regret indulging. 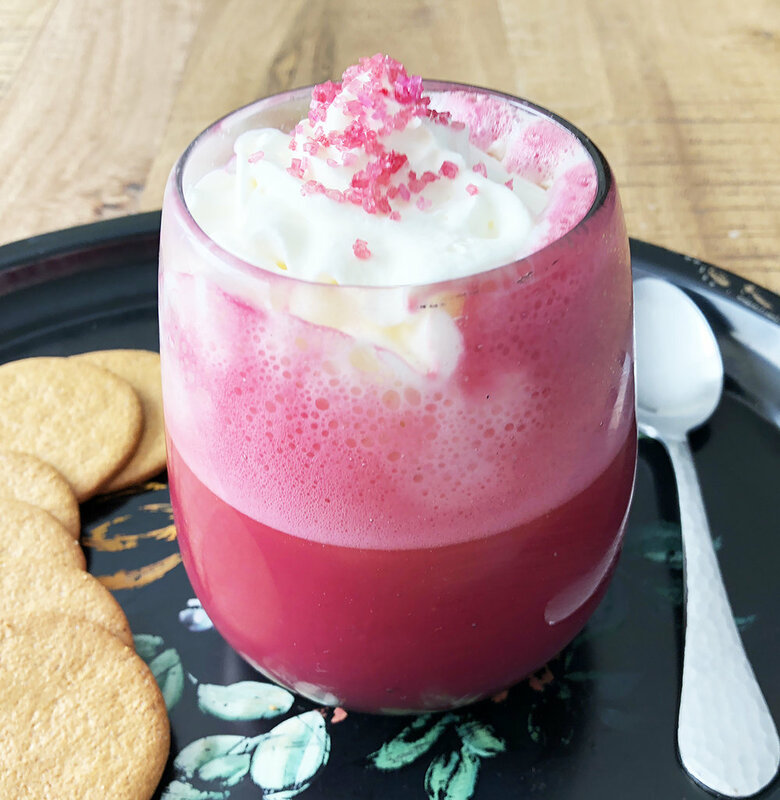 Yet, most of us have a sweet tooth and it is often hard to ignore, especially around the holidays. 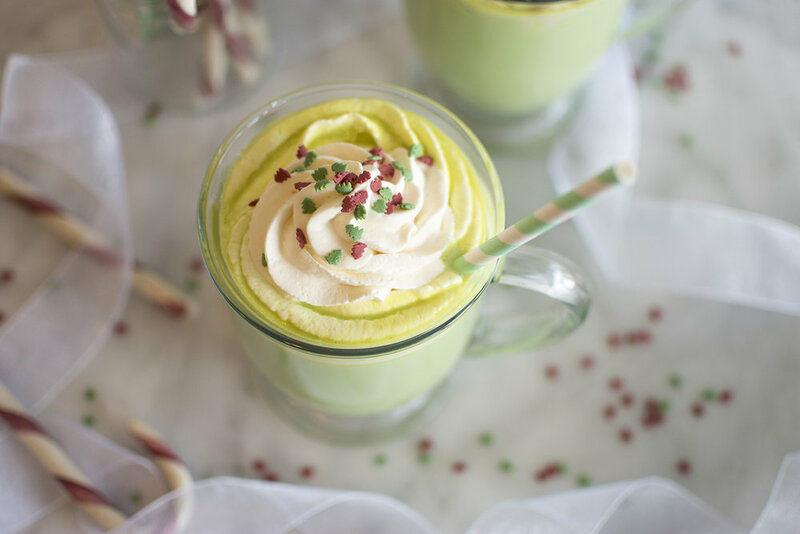 To help with this, we have a fun, easy recipe that is sure to satisfy those sweet dessert holiday cravings and look absolutely adorable at parties and holiday functions. For a great bonus, these end up looking like winter ice or snowballs when finished. Using a mixer or food processor, combine the coconut cream concentrate (coconut butter) and coconut oil until smooth. In a small bowl, mix blue food color powder with a couple drops of water until all the color is dissolved. 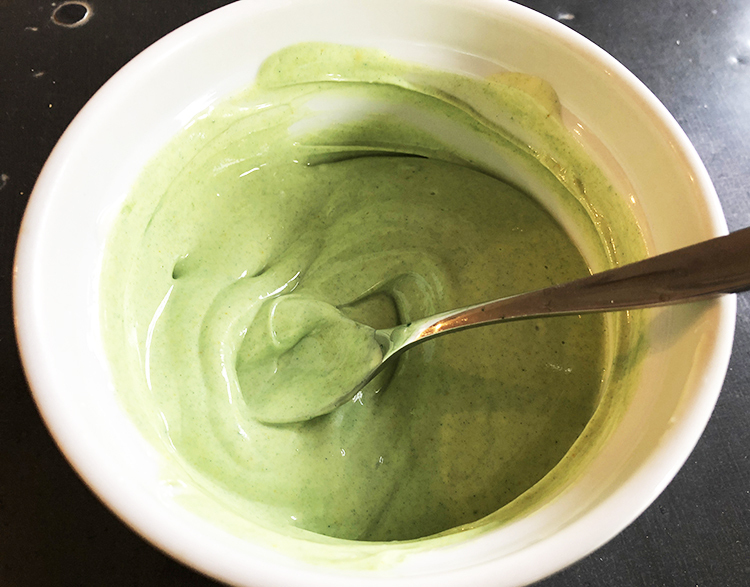 While the mixer or food processor is still running, add in your coconut milk and shredded coconut, and color mixture, continuing to mix until smooth. Then, add the rest of your ingredients (along with your various optional ingredients) and mix until the batter is again smooth. Since it will generally be too soft to manipulate, place the mix into the refrigerator for 30-60 minutes. Take it out when the batter is firm, but not so firm that you can’t mold/shape it. Once the batter is ready, use an ice cream scoop or small spoon to scoop out the batter and roll it into a ball in your hands until you have about 16-24 truffles (depending on how large your balls are) all placed on a plate. As long as the truffles are still firm, you can then roll them in any topping you’d like. If not quite firm enough, just stick them back in the refrigerator for a little while. 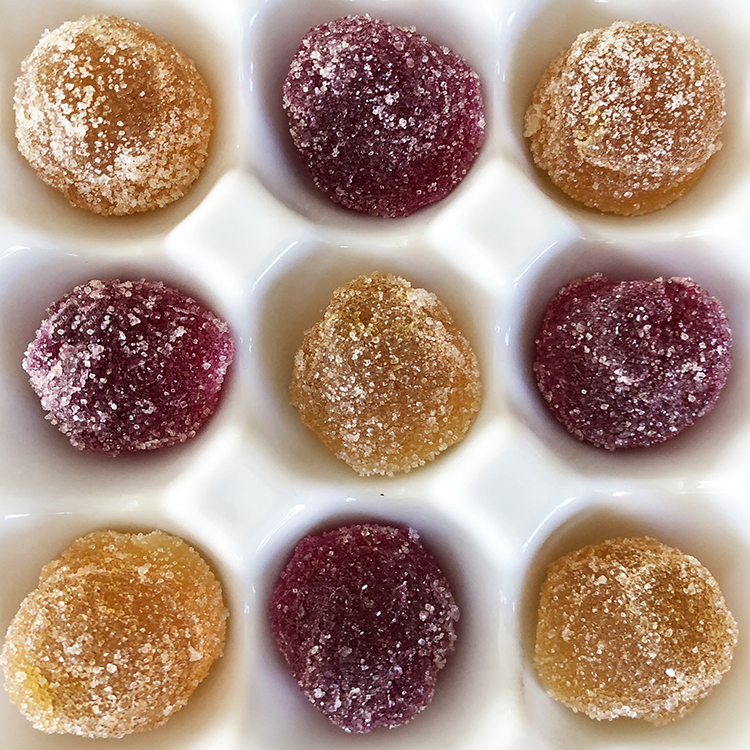 Enjoy your delicious treats cold or at room temperature!